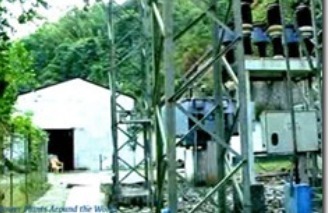 Aizawl, Nov 8 : The construction of two hydroelectric projects in Mizoram is under way without following the safeguards specified under the Environment Impact Assessment notification. The 12MW Serlui B hydro electric project in Aizawl district, which is already “complete” and the 60MW Tuirial hydro electric project at Bilkhawtlir developed by North Eastern Electric Power Corporation Ltd (Neepco), which was fast-tracked recently. The Serlui B project has the dubious distinction of creating the state’s first “dam refugees” who are still fighting for proper rehabilitation and in case of Tuirial project, the people and experts are questioning its legality as no public hearing was ever held. Experts said the affected villagers of Tuirial could move court. Though the project proponents had earlier got the village council presidents to sign an NoC, this would not be enough. In August, a tripartite multi-disciplinary committee for Tuirial project was notified to “oversee effective implementation of suggested safeguards measures,” on ecology, forestry, and wildlife. But nothing is mentioned about safeguards for people against the impact of the dam. The project received environment clearance in 1995 and experts questioned if it was still valid. Construction began in 1998 but it was halted in 2004 because of “unfavourable geological conditions at the dam site, technical reasons, high compensation for crops and law and order situation”. In 2011, the project cost was revised to Rs 913.23 crore, almost triple its original estimate of Rs 369. Environment Support Group, a premier lawyers’ group on environmental law in India, told The Telegraph that the validity of an environment clearance expires in five years if the project does not continue. Moreover, the CBI chargesheeted nine persons, including relatives of former chief minister Zoramthanga and officials recently for their role in a compensation scam. The scam was unearthed after a PIL was filed by anti-corruption watchdog SOSA (Society for Social Action). Gauhati High Court in April 2010 ordered a probe into the scam. The CBI investigation revealed that compensation was paid to fictitious landowners. “We will fight this dam. We agree that our state needs electricity, but we cannot give up our ancestral lands when they do not recognise our rights at all,” Vanlalvena, the village council president of Zohmun, said. He said they were trying to form a joint platform of village councils to take up the people’s issues, but were unable to organise anything yet. Nearly 5,100 villagers of Ratu, Mawchar, Saipum, Palsang, N. Khawdungsei, Serzawl, Lungmuat, Bukpui, Saiphai, Hlimen, Darlawn, Khawruhlian, N Chaltlang, Nisapui and Thingtherh will be affected by the dam.